2nd World Scout Indaba, Sutton Coldfield, United Kingdom, June, 1957, combined with the 9th World Scout Jamboree and 6th World Rover Moot, to celebrate 50 years of Scouting. 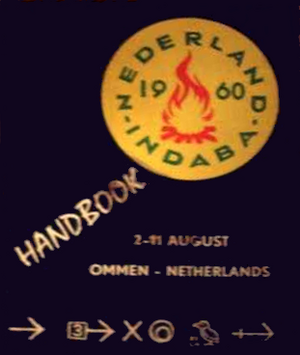 3rd World Scout Indaba, Gilwell Ada's Hoeve, Netherlands, August, 1960. This page was last edited on 28 August 2017, at 20:58.